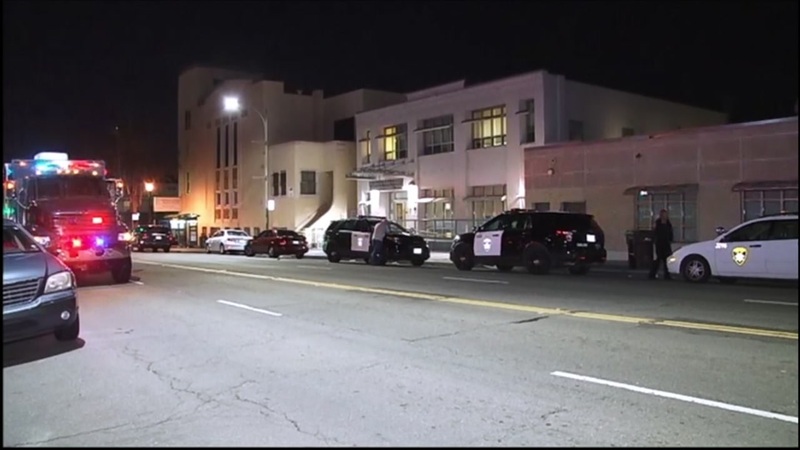 OAKLAND, Calif. -- A man died when a pipe bomb exploded inside a health clinic in Oakland this evening in an incident that investigators are calling an apparent suicide, according to police and sheriff's deputies. The explosion was reported at 6:26 p.m. at 1030 International Blvd. The San Antonio Neighborhood Health Center is listed at that address. Witnesses said a man in a wheelchair entered the clinic with what appeared to be a pipe bomb and detonated it, taking his own life, according to police. The man was pronounced dead at the scene. No other injuries have been reported. The Alameda County Sheriff's Office's bomb-squad was called to the scene, according to Sgt. Ray Kelly. Deputies conducted a search for secondary explosive devices out of an abundance of caution.